A few years ago, a whole new crop of crazy medical devices started popping up—things like little robots that could crawl through your veins and clear blocked arteries. Scientists lauded the promise of ingestible electronics, but there was one big problem. How are we going to power these devices? A team of scientists from Carnegie Mellon just offered up the answer. Using melanin extracted from cuttlefish ink, they developed an edible battery that can be ingested and will harmlessly dissolve when its job is done. 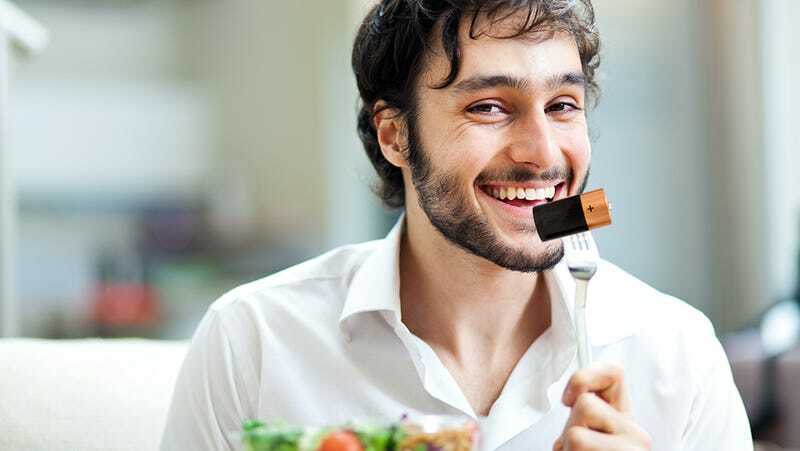 After all, traditional batteries are the last thing you want to swallow. "Instead of lithium and toxic electrolytes that work really well but aren't biocompatible, we chose simple materials of biological origin," Professor Christopher Bettinger, who led the research, explained to the MIT Technology Review. Indeed, the design is pretty simple. The battery uses the melanin from the cuttlefish ink as an anode that exchanges electrons with a cathode made of manganese oxide. This first generation of edible batteries isn't terribly powerful, especially when compared to highly toxic lithium batteries, but they're strong enough to fuel simple sensors. This makes them perfect for things like arthritis drugs that typically can't be taken orally because the harsh environment of the stomach would destroy them. But, with this new battery, a patient could now swallow a pill that will detect when it hits the upper gastrointestinal tract. Indeed, ingestible electronics already exist, but they're either very simple or so complex they need to be surgically removed. There's a pill, for instance, that's powered by a simple chemical reaction and can broadcast a signal to a patch on the patient's arm; however, that signal really just gives doctors basic data about when the patient took their medication. Scientists like John Rogers from the University of Illinois at Urbana-Champaign are working on a number of other devices that dissolve in the human body, and this edible technology is sure to open up new possibilities.